On Aug. 24, 2011, the US Joint Commission issued a sentinel event alert on radiation risk from diagnostic imaging that could change the way radiology departments are run in the near future . The Joint Commission, cognizant of the benefits of diagnostic imaging, is also aware of the known risks of radiation dose for the development of cancer and the alarming increasing utilization of medical imaging (in particular of CT) over the last decades. The Joint Commission is concerned specifically about potential overutilization and the lack of justification for radiologic exams and suggests raising awareness of the increased risks associated with radiation among providers, equipment manufacturers and patients. The specific actions suggested by the Joint Commission emphasize the main principles of radiation protection: justification and optimization. The Joint Commission also endorses the implementation of a national registry to track radiation doses as the start of a process to identify optimal and reference doses. 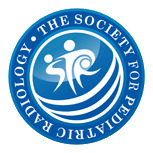 The International Commission on Radiological Protection (ICRP) has recently issued specific radiation protection recommendations for diagnostic and interventional radiology in the pediatric population . The main purpose of this report is to provide referring physicians and staff performing diagnostic and interventional procedures, as well as equipment vendors, with common and specific pediatric radiation protection guidelines. The ICRP is an independent, nonprofit international organization that has, since 1928, offered recommendations on the principles and practice of radiation protection. The ICRP comprises a main commission and five committees whose members are international leaders in the field of radiation protection. The ICRP is an advisory body and does not provide regulatory text. The recommendations issued by the ICRP are followed widely by international, national, regional and local agencies. Because the implementation of these recommendations is a time-consuming process that requires significant institutional effort, the ICRP avoids making frequent changes to its main recommendations. The ICRP report provides an executive summary focusing on the basic principles of radiation protection: justification and optimization. Every examination performed must be justified and result in a net benefit to the patient. The principle of justification is specially emphasized for image modalities that deliver a relative high dose such as CT and interventional radiology. The report outlines examples of unjustified examinations and emphasizes the importance of using alternative techniques that do not use ionizing radiation when feasible. The document provides examples of organ-system-based referral guidelines to help pediatric radiologists and ordering physicians make a better use of the departments of radiology, improve clinical practice and reduce unnecessary radiation exposure. Optimization of medical exposures in diagnostic and interventional radiology is another fundamental principle of radiation protection and advice and input from medical physicists must be sought. The report outlines ways in which unnecessary dose to patients and operating staff can be minimized during diagnostic and interventional procedures. It also provides specific advice on how technical parameters should be adjusted to deliver sufficient image quality without reducing diagnostic capabilities. The report emphasizes the concept and use of DRLs (diagnostic reference levels) and gives multiple examples of how implementation of quality criteria and regular follow-up audits can improve practice and patient outcomes. For conventional radiography, the report gives advice on patient positioning, immobilization, shielding and appropriate exposure conditions. It describes extensively the use of pulsed fluoroscopy, the importance of limiting fluoroscopy time, and how shielding and geometry must be used to avoid unnecessary radiation to the patient and operator. Furthermore, the use of fluoroscopy in interventional procedures with emphasis on dose reduction to patients and staff is discussed in light of the increasing frequency, complexity and length of the procedures. CT is the main reason that medical imaging in several developed countries is the highest annual per capita effective radiation dose from man-made sources . Awareness of this is increasing among caregivers, patients, families, policy-makers and news media. The ICRP report gives extensive descriptions of how CT protocols can be optimized to minimize radiation exposure in pediatric patients. The importance of balancing image quality with acceptable noise in pediatric imaging and the controversies regarding the use of protective shielding in CT are also discussed. In summary, the ICRP has provided an updated overview of radiation protection principles in pediatric radiology. 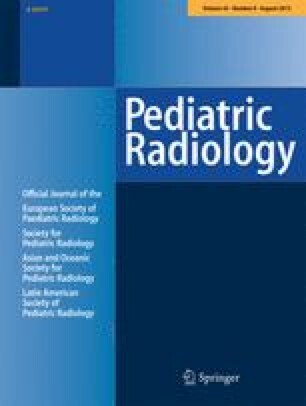 We recommend that staff, radiologists, medical physicists and vendors involved in pediatric radiology read this document.